As a lawyer I must strive to make our system of justice work fairly and efficiently. In order to carry out that responsibility, not only will I comply with the letter and spirit of the disciplinary standards applicable to all lawyers, but I will also conduct myself in accordance with the following Creed of Professionalism when dealing with my client, opposing parties, their counsel, the courts and the general public. I will clearly identify, for other counsel or parties, all changes that I have made in documents submitted to me for review. I will at all times be candid with the court. I will be mindful that the law is a learned profession and that among its desirable goals are devotion to public service, improvement of administration of justice, and the contribution of uncompensated time and civic influence on behalf of those persons who cannot afford adequate legal assistance. 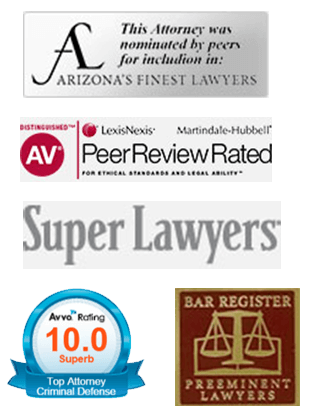 ** CV, BV, and AV are registered certification marks of Reed Elsevier Properties, Inc., used in accordance with the Martindale-Hubbell certification procedures, standards, and policies. Martindale-Hubbell is the facilitator of a peer review rating process. Ratings reflect the confidential opinions of members of the Bar and the judiciary. Martindale-Hubbell Ratings evaluate two categories--legal ability and general ethical standards.